To introduce the expansion from running into everyday, our team redefined the brand's mantra to be "Go. Do. Live. In Feetures." These images, shot by James Quantz, Jr., visually encompass the go, do and live for each individual. The lines that spread out from the feet all start from the sock's patented targeted compression design and spread according to their activity. 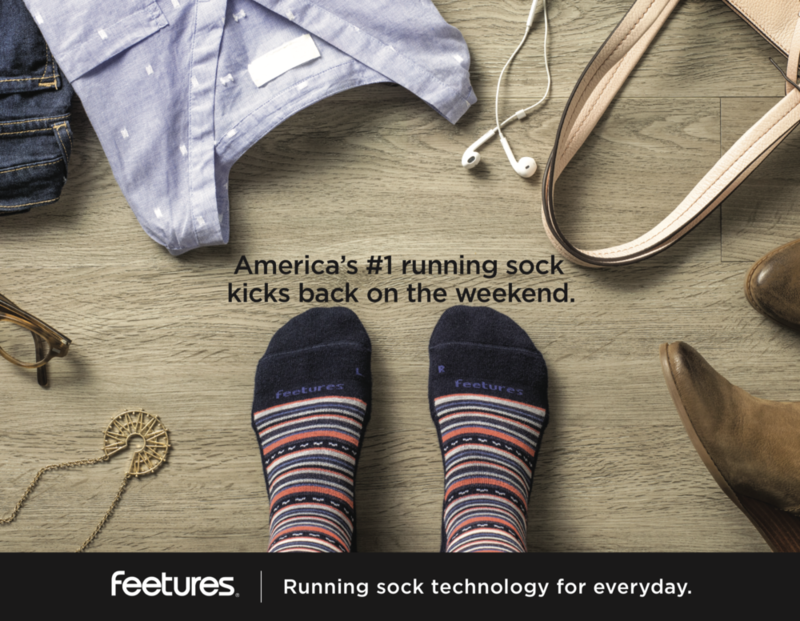 These gifs were used throughout their social media channels to excite consumers about this expansion into everyday socks. Every fall and spring Feetures puts out their product guide. These images were used throughout their spring 2018 product guide and promotional materials to introduce the line to both retailers and consumers. 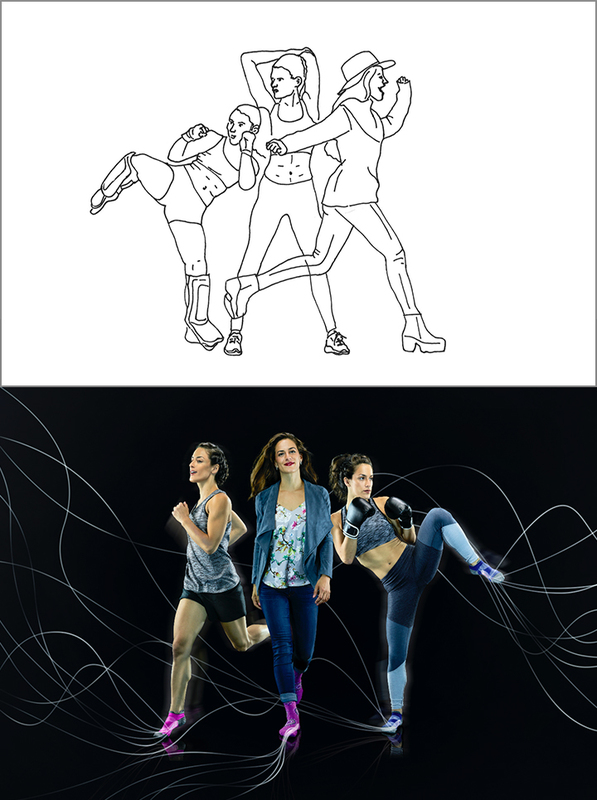 Below you'll see the process from my sketches to final photography by Mike Caroll. The two pieces below were used in-store as point-of-purchase sales tools.